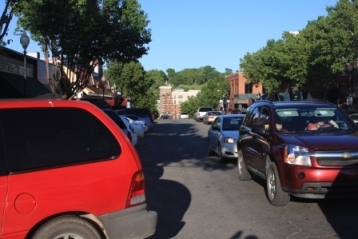 The Downtown-Branson-RVParks are in the section Downtown-Rose on our area map . We have included Northwoods RV Park which is just outside of the Downtown area in the Branson North area on Hwy 248. 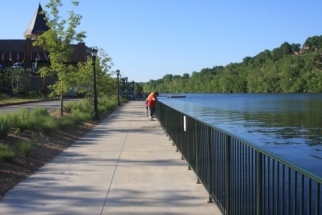 The Downtown-Branson-RVParks are on or close to Lake Taneycomo and offer seclusion and easy access to shopping and entertainment. 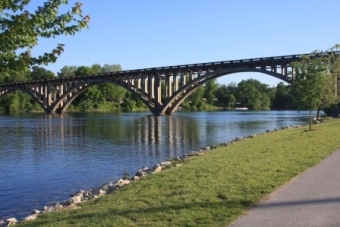 Downtown Branson and the Branson Landing are in this area and make these RV Parks a favorite among many for camping in Branson. Downtown will take you back to earlier days when small town America was the center of life. This is a place where you can still find an old time Five & Dime store, small hometown cafes, shops of every variety, a drugstore, festival weekends, old time parades and even museums and entertainment. This is a great area to have as your home base during your vacation time. You will also find some of these Branson Campgrounds listed on our Branson-LakeTaneycomo-RVParks page. A 55 & older park located on Hwy 248 just ¼ mile west of Hwy 65 (just past entrance to Yakov's Theater and Oak Ridge Boys Theater. The park is close to downtown, Branson Hills and Hwy 76 strip. Directions: Take Branson Landing Blvd south and cross lower bridge. Continue around the roundabout and head north on Hwy 76 East. In less than a ½ mile when Hwy 76 veers east you will need to continue north on Lake Shore Drive. (Caution: Watch for west bound 76 traffic "coming 'round the mountain"). Follow Lake Shore Drive slowly past residential, resort and Kamp Kanakuk areas for almost 2.5 miles and turn left on Valencia Road to this RV Park.